Graduated from Blytheville Army Airfield, Arkansas. S/N: O-814210. Assigned to Blytheville Army Airfield. Graduated Marianna Army Air Field in FL. S/N: O-815269. He was in the 3rd A.F., 17th SE Flying Training Group. Graduated Marianna Army Air Field in FL. S/N: O-815270. He was at the Eglin Field Proving Ground. He was in Sqdn E at Douglas. He became a navigator, S/N: O-713608 in the 452nd Bomb Gp. (H), 731st Bomb Sqdn. Info from his son: Beyeler flew 33 missions in B-17s over Europe out of Deopham Green, East Anglia, England. He was shot down on his 13th mission on 25-Sep-1944 in “Swing Shift Baby” (S/N: 42-102513) over Luxembourg. He had to bail out at 11,000 feet. 8 out of 9 crew landed in Luxembourg and made it to U.S. lines and then back to England via Paris. The tail gunner who landed in Germany was the only crew member who was captured by the Germans. On their way back to England, Beyeler and the co-pilot, who apparently looked and sounded like Clark Gable, went AWOL in Paris for three days. This was in Sep 1944, about a month after the liberation of Paris. The co-pilot had a big roll of English pounds that he had won in a crap game back on base, and said to him, “come on Beyeler, let’s paint the town”. And, apparently, they did! Click here for his picture in front of his plane.Click here for his picture at Basic or Advanced. Walt Kuehner was his Instructor at Douglas. Graduated from Blytheville Army Airfield, Arkansas S/N: O-814282. He had 31 Missions with the 384th Bomb Group 547th Bomb Sqdn in England. He was discharged in Sept. 1945. Click here for his bio and list of missions (a PDF). He graduated and went to England with the 8th A.F. 487th Bomb Gp 839th Bomb Sqdn. Graduated Blytheville Army Airfield, Arkansas. S/N: O-814272. Assigned to Blytheville AAFd Advanced Flying School. He was a pilot in the Air Force and a veteran of World War II and the Korean War (per his obituary). of Pensacola, FL. and Lando Lane, Orlando. Born in Gadsden, Ala., he moved to Orlando from Fort Myers in 1956. His enlistment shows he was born in Pennsylvania and enlisted in New York. His IDPF (Individual Deceased Personnel File) also shows he was born in Pennsylvania. His tombstone in Arlington National Cemetery says New York. Graduated Marianna Army Air Field in FL. S/N: O-815281. He was with the 335th Bomb Gp 474th Bomb Sqdn Replacement Training Unit. On Jan. 23, 1944 he was killed in a flying accident in Louisiana in a B-26B. He trained to become a bombardier at Victorville, CA (class 44-03) and became a bombardier with the 486th Bomb Gp 834th Bomb Sqdn. Click here for a picture of him in the Victorville class book. S/N: O-722947. He became a navigator in the 303rd Bomb Gp 359th Bomb Sqdn. On Sept 12, 1944 he was navigator in a B-17G (S/N: 42-31177) on a mission to Brux, Czechoslovakia. His plane was attacked by enemy aircraft. The front part of the wing in front of No. 3 engine and the horizontal stabilizer were hit. He bailed out and was a P.O.W. in Stalag Luft 1 located near Barth, Germany (MACR #8823). He became a navigator, Selman Field During WWII by Turner Publishing. He graduated from Blytheville Army Airfield, Arkansas. S/N: O-814454. He was assigned to the BAAF at Blytheville. He flew B-17’s in Europe in the 381st Bomb Gp 532nd Bomb Sqdn. 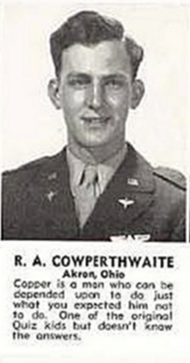 On May 19, 1944 he was flying as a 2nd Lieutenant and copilot on a B-17G (S/N: 42-32088) leaving Ridgewell, England. The plane was shot down. The 9-person crew was captured at Yarzahn near Berlin and imprisoned in Dulag Luft. MACR (accident report): #5030. He did return to the U.S.A. 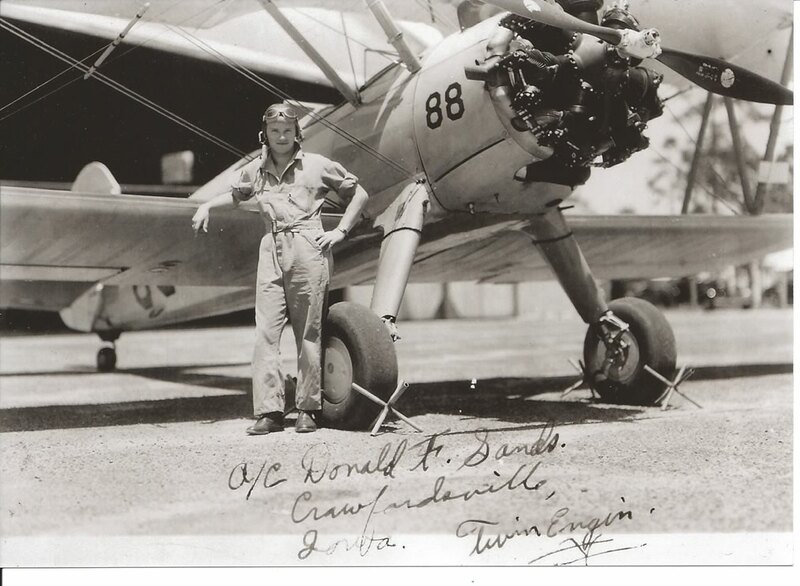 He was flying on weekends about 1946 when he was killed in an aircraft crash. He graduated from Blytheville Army Airfield, Arkansas. S/N: O-814469. He was assigned to the BAAF at Blytheville. He flew B-24’s with the 8th A.F., 491st Sqdn. in England. He graduated from Marianna Army Air Field in FL. S/N: O- 815293. He was in the 3rd AF 439th Fighter Sqdn Replacement Training Unit. He graduated from Blytheville Army Airfield, Arkansas. S/N: O-815456. He was assigned to the B.A.A.F. at Blytheville. Then he was in the 8th A.F. in England flying B-17s in the 390th Bomb group, 571st Bomb Sqdn. He also flew B-29s with Air Weather Service. In 1946 he was involved in the Pacific atom bomb tests. In the 1950s, he flew C-97’s at Kelly A.F.B. Bob Wilson was his Instructor. He had Basic at Macon and Graduated from Blytheville Army Airfield, Arkansas. S/N: O-815457. He was with the 8th A.F. 385th Bomb Group. He flew 35 missions in a B-17. Was discharged at the end of the war. Graduated from Marianna Army Air Field in FL. S/N: O- 815296. He was in the 3rd AF 439th Fighter Sqdn Replacement Training Unit. Bruce Campbell was his Instructor at Douglas. He had Basic at Cochran and Advanced at Marianna Army Air Field in FL. He was assigned as a Maintenance Test Pilot at Kelly Field. 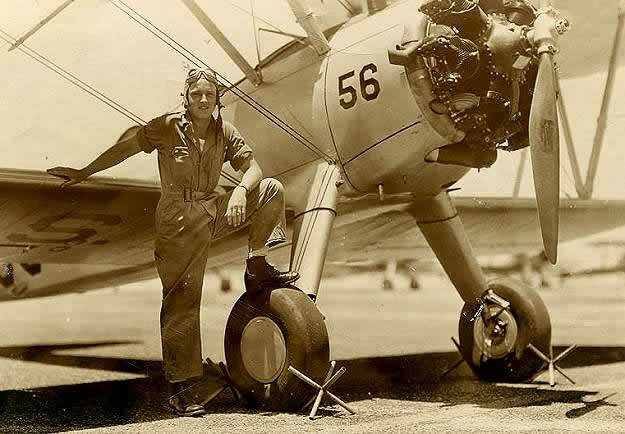 He flew many types of aircraft. He was recalled in 1950 and went to Japan. He left the Service about 1952 to go with a small financial institution. S/N: O-762765. He became a bombardier in the 96th Bomb Gp 337th Bomb Sqdn. Landis was his instructor. He had Basic at Macon and graduated from Marianna Army Air Field in FL., S/N: O-815301. He flew with the 9th Air Force, 50th Fighter Gp, 10 Fighter Sqdn. in P-47’s in England and France. He flew 3 mission before D-Day, and then participated in D-Day. He flew 94 missions before the end of the war, winning among others the DFC and Air Medal with 12 clusters. He was later in the Air National Guard. As a civilian he was an Aeronautical Engineer. Of NH, later of Toano, VA.
Bill Bright was his instructor at Douglas. He graduated from Marianna Army Air Field in FL., S/N: O-815305. He flew P-51’s. He was in the 52nd Fighter Group 5th Fighter Sqdn and the 36 Fighter Group 23 Fighter Sqdn. He had 22 years of service. Retired in 1965. He was a member of the Thunderbolts Pilots Association. He became a navigator (S/N:O-709329). He was in the 376th BG. ON Aug. 10, 1944, he was navigator on a B-24B (S/N: 42-78075) on a mission to Ploesti, Romania. The plane went to a secondary target a railroad marshaling yard near the Rumania-Yugoslavia border. His plane was attacked by enemy fighters, and a fire in the right wing forced the crew to bail out. He along with the rest of the crew became an evader. They escaped and he was returned to the U.S. by Sept. 27, 1944 (MACR #5829). He graduated and then to Co-Pilot training at Laredo, TX. Then to Larimore to pick up his combat crew, then to Boise for training. Before he got overseas, the war was over. Paul Schlundt soloed him June 9, 1943. He graduated – S/N: O-818142. He was in the 446th Bomb Gp 706th Bomb Sqdn. Student Officer: Second Lieutenant, and Ken Landis was his instructor at Douglas. Born 1919 and enlisted in Queens County, New York on April 04, 1941. He became a navigator, S/N: O-709347(?). Graduated from Blytheville Army Airfield, Arkansas. S/N: O-815465. He was assigned to the BAAF at Blytheville. He was checked out on B-24’s at Tuscon, AZ. He was a pilot assigned to the 493rd Bomb Group 863rd Bomb Sqdn based at Debach, Suffolk, England. He flew 30 missions over German occupied Europe. He was awarded the DFC, Air Medal with 3 oak leaf clusters, and other citations. Click here for his obit, which also describes his service. Born Aug. 12, 1920. He died Apr. 21, 1972. He was 51 years old. Kuehner was his instructor. Graduated Marianna Army Air Field in FL., S/N: O-815322. He was in the 321st Bomb Gp 447th Bomb Sqdn and the 334th Bomb Gp Replacement Training Unit flying B-25s. He arrived in Solenzara, Corsica in May, 1944 and flew co-pilot. His unit bombed marshaling yards, bridges and other targets to deter enemy troup movements. He was awarded the Air Medal with 6 oak leaf clusters. He was rotated out November, 1944. Click here for pictures and more information from his son. Graduated Marianna Army Air Field in FL., S/N: O-815326. He was in the 334th Bomb Gp 470th Bomb Sqdn Replacement Training Unit. On Feb. 12, 1944 he was killed in a flying accident in SC in a B-25D. Lt. Cramp was his instructor. He graduated from Marianna Army Air Field in FL., S/N: O-815327. Click here for a short bio and his orders (a PDF). Graduated Blytheville Army Airfield, Arkansas. S/N: O-615471. Went to BAAF at Blytheville. He became a navigator, per Selman Field During WWII, Turner Publishing. He graduated from Blytheville Army Airfield, Arkansas. S/N: O-815473. He was assigned to the BAAF at Blytheville. Later he flew B-26’s with the 9th AF 323rd Bomb Gp 453rd Bomb Sqdn in England and France. He flew 65 missions. He returned to work in the Steel Industry in Pennsylvania. He graduated from Blytheville Army Airfield, Arkansas. S/N: O-815475. Was assigned to the BAAF at Blytheville. He was in the 313th Troop Carrier Group 29th Troop Carrier Squadron. He flew in Operation Varsity, a successful joint American–British airborne operation that took place toward the end of World War II, involving more than 16,000 paratroopers and several thousand aircraft. He was copilot of a C-46 (S/N: 44-77591), which was undamaged. He was discharged at the end of the war. Enlisted July 28, 1942. Graduated Blytheville Army Airfield, Arkansas. S/N: O-815477. Was assigned to BAAF at Blytheville. Student Officer: Second Lieutenant at Douglas. He was in the 356th Fighter Group 360th Fighter Sqdn. Graduated from George Army Air Corps Field, Lawrence County, IL. S/N: O-814953. Made 1st Pilot on B-17’s and flew 37 missions in the 388th Bomb Group, 563rd Bomb Squadron. S/N: O-816108. He was at Millville AAFd Replacement Training Unit (in P-47s). Rundlett was his instructor at Douglas. He became a navigator (S/N: O-718322). He was in the 379th Bomb Gp 525th Bomb Sqdn. On Aug. 24, 1944 he was navigator in a B-17G (S/N: 42-37903) on a mission to Germany. His plane was hit by anti-aircraft fire near Merseburg, Germany and was struggling back to base low on gas. The plane was leaking gas and went down. He was MIA and then declared dead (MACR #8285). Graduated Blytheville Army Airfield, Arkansas. S/N: O-615491. Assigned to BAAF at Blytheville. S/N: O-818285. He was in the 389th Bomb Gp 567th Bomb Sqdn. On May 27, 1944 he was co-pilot on a B-24H (S/N: 42-94951) with a crew of 10 on a mission to Saarbrucken, Germany. His plane was hit by flak. It continued on for a few seconds and then went into a dive. He was killed (MACR #5261). 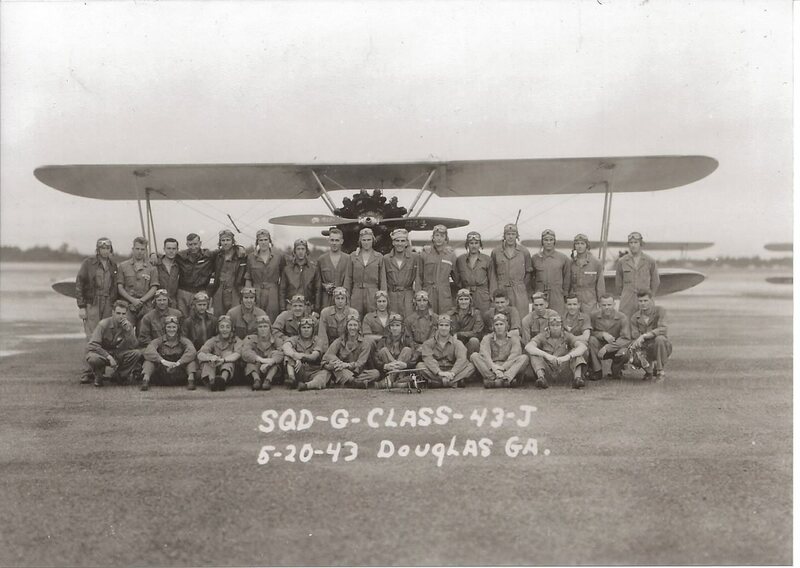 Graduated from Marianna Army Air Field in FL., S/N: O-815348. He was in the 321st Bomb Gp 447th Bomb Sqdn after the 334th Bomb Gp Replacement Training Unit. On Apr. 14, 1944 he was the co-pilot on a B-25C (S/N: 42-64559) on a mission to the Viterbo Airdrome in Italy. The plane was hit by flak and went into a steep dive, then leveled off, then flew inverted and finally crashed. He was killed (MACR #04188). Rundlett was his instructor. 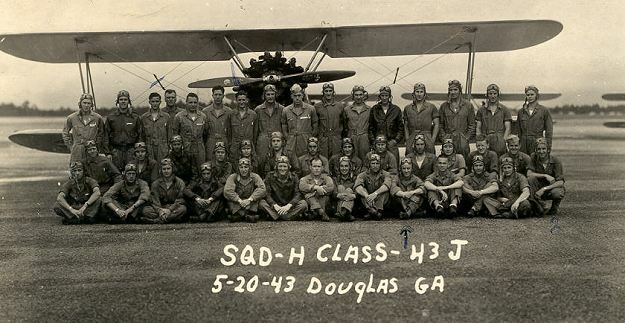 Graduated from Marianna Army Air Field in FL., S/N: O-815349. He was in the 315th Troop Carrier Group 309th Troop Carrier Sqdn (flying C-47A) and the 60th Troop Carrier Group. S/N: O-816126. He was in the 14th Fighter Group 49th Fighter Sqdn. On Aug. 14, 1944, he was flying a P-38J (S/N: 42-28643) on a mission to Montfrin, France. As he was looking for targets to strafe, heavy flak hit his plane in the left engine and it caught fire. He was captured and became a P.O.W. in Stalag Luft East near Nurenburg, Germany (MACR #07953). Graduated Blytheville Army Airfield, Arkansas. S/N: O-815516, First assignment was to the BAAF at Blytheville. Later he flew B-29’s in the Pacific and over Japan. He was shot down on Dec. 19, 1944. Click here for more information. Student Officer: Second Lieutenant at Douglas. Graduated from Blytheville Army Airfield, Arkansas. S/N: O-129574. Assigned to BAAF at Blytheville. Student Officer: Second Lieutenant at Douglas. Graduated from Blytheville Army Airfield, Arkansas. S/N: O-815521. Assigned to BAAF at Blytheville. Caeser Miles was his Instructor at Douglas. He had Basic at Macon, and graduated from Marianna Army Air Field in FL., S/N: O-815362. Then to Goldsboro, Wilmington and then England. 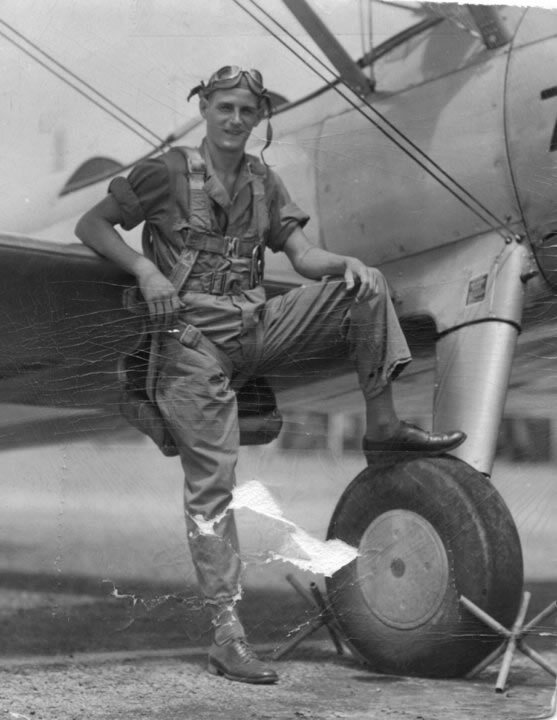 He flew P-47’s with the 9th A.F., 365th Fighter Grp. 388th Sqdn. On Aug. 25, 1944 on a fighter sweep toward Dijon Airdrome, France, he was hit by flak on his 63rd mission as he was diving at targets. He was P.O.W. for 7 days when he escaped from the train taking him to a prison camp. He was picked up by the French Underground and returned to the U.S.
Rundlett was his Instructor at Douglas. He became a bombardier (S/N: O-762796). On Mar. 4, 1944, he was in overseas training at the Sioux City, Iowa AAB 393rd Combat Crew Training Station where he had an accident that ended his flying career. He retired Apr. 25, 1945. Then he was in a managing position at Grumman Aircraft Corp.
Robert Cramp was his Instructor at Douglas. He graduated from Blytheville Army Airfield, Arkansas as F.O. T-61555. He flew 31 missions with the 452nd Bomb Group 728th Bomb Sqdn in England. Later he stayed in the reserve for a total of 30 years of Service. Of Ohio then of St. Petersburg, FL. He was with the 341st Bomb Gp 22nd Bomb Sqdn. Flight Officer T-061523, 1st Lt.
S/N: O-1686420 and T-061525. He was with the 345th Bomb Gp 498th Bomb Sqdn. On Jan. 3, 1945, he was co-pilot on a B-25J (S/N: 43-28122) on a mission to Lahug Airdrome, Cebu Island. The plane was shot down, and he went down with the plane. Student Officer: First Lieutenant at Douglas. He probably graduated from Elon University (in NC) in 1942 and then enlisted in the Air Corps. He may be this William P. Nash at FindAGrave: LT COL US Army Air Forces (ATC) – where ATC is the Air Transport Command. Flight Officer S/N: T-123619. He was a navigator with the 446th Bomb Gp 705th Bomb Sqdn. On June 12, 1944 he was navigator on a B-24H (S/N: 42-94859) on a mission to Rennes, France. The plane was hit by flak and dropped out of formation. It was then attacked by 12 enemy fighters. It went out of control butsome of the crew were able to bail out. Nutkis became a P.O.W. at Luft-Stalag #1 located near Barth, Germany. Dupraw was his instructor at Douglas. He graduated from George Army Air Corps Field, Lawrence County, IL.. S/N: O-614953. He served in the Berlin Airlift. He died Sept. 17, 1987. He joined the military in June 1941 and was initially an airplane mechanic but then volunteered for glider pilot. Half way through this training, it was discontinued, and so he took the exam for aviation cadet and passed. As a cadet, he took a pay cut from $144 per month to $75. Robert Cramp was his Instructor at Douglas. He had Basic at Macon. 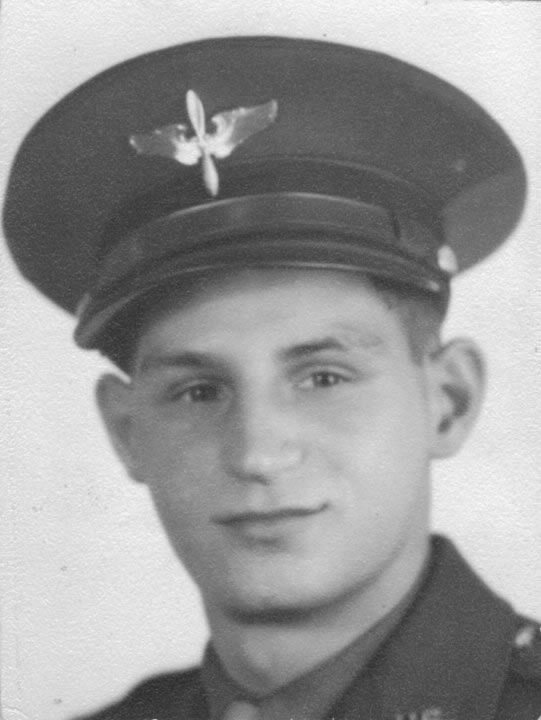 Graduated from Blytheville Army Airfield, Arkansas, Nov. 1943, S/N: O-816665. He was assigned to the BAAF at Blytheville. He went overseas as a co-pilot on a B-24 with the 15 A.F., 449th Bomb Group, 719th at Gistoglia, Italy. He flew 50 missions over Yugoslavia, Romania, Austria, N. Italy and France, including 5 missions over the Ploesti Oil Fields. His plane was named ‘Gremlins Delite’. On Jul. 8, 1943, his plane flew lead on a mission to an oil storage area on the Black Sea. The fighters zeroed in on him, and his radio and right inboard engine were shot and the rudder cables were cut. The engineer spliced the cables together with arming wire. When they got home, they realized the aeleron cable was hanging together by only a thread. The plane was so full of holes it never flew again. 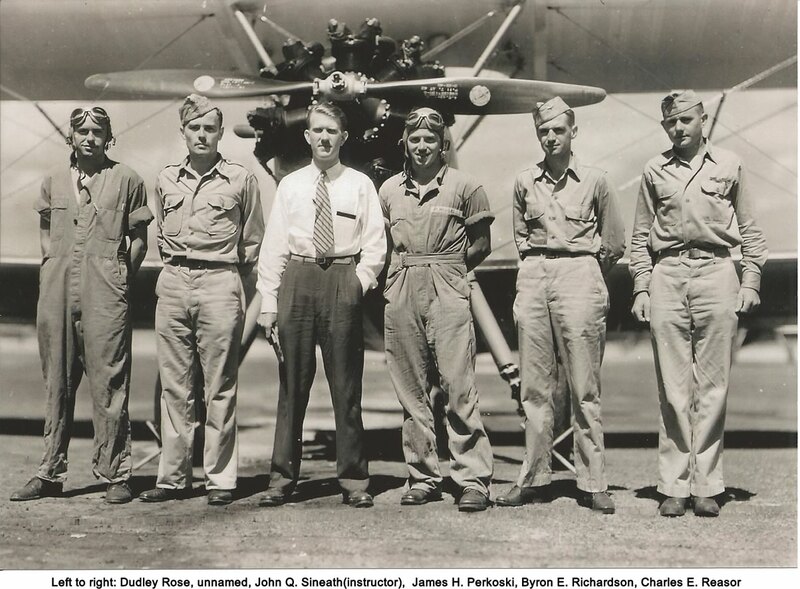 He returned to Victorsville, CA and then flew Bombardiers and Navigators. He was discharged in Aug. 1945. 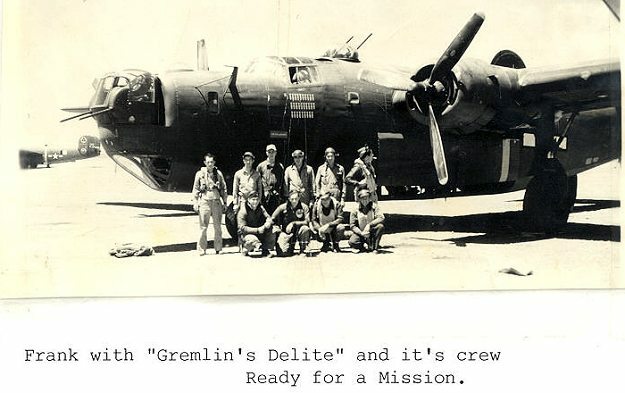 Click here for a picture of Frank and his crew in front of Gremlin’s Delite. 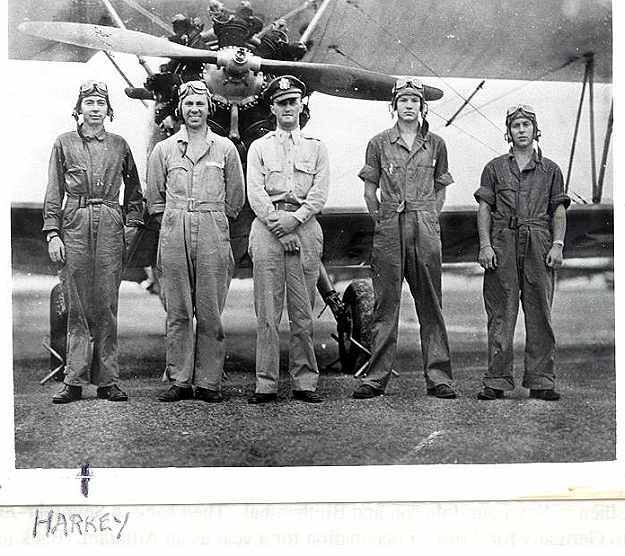 Graduated from Marianna Army Air Field in FL., S/N: O-815378. He was in the 334th Bomb Gp Replacement Training Unit. He graduated from Blytheville Army Airfield, Arkansas. S/N: O-816666. He was assigned to the BAAF at Blytheville. Later he flew Bombers in the 385th Bomb Group. Student Officer: Second Lieutenant at Douglas. S/N: O-1639485. He was at the Boca Raton (FL) AAFd Technical School (Radar). Graduated Marianna Army Air Field in FL., S/N: O-815385. He was in the 386th Bomb Gp 555th Bomb Sqdn. Click here for his group picture at Douglas. He was a navigator, possibly in the Air Training Command – S. Atlantic Wing Group, per INTO FIELDS OF FIRE: The Story of the 438 TCG during WWII by Austin J. Buchanan. Was still in the service in Nov 1945 when he was in some sort of aircraft accident. May be the Henry L. Pruitt with S/N: O-831793 who was co-pilot on a B-25 (S/N: 44-28918) in the 321st Bomb Grp, 448 Bomb Sqdn when on Aug 2, 1945 he and his crew went missing after being hit by flak on a mission to the Calliano Railroad Bridge in Italy. (MACR #12126). He graduated from Blytheville Army Airfield, Arkansas. S/N: O-815551. His first assignment was to the BAAF at Blytheville. Later he flew B-17’s in Europe in the 493rd Bomb Gp 862nd Bomb Sqdn. He was also with the 95th Bomb Group and 412th Bomb Sqdn (See his picture in the 95th). On July 5, 1945, he was flying as a 1st Lieutenant and pilot on a B-17F (S/N: 42-32087) coming back to the U.S. from Europe. They had just stopped at the Azores for refueling, and shortly after takeoff, the plane caught fire. The last radio contact reported that #3 engine had cut out, and, after trying to return, the plane was losing altitude. They were preparing to ditch the aircraft. There were only four survivors, and 11 others were still missing after a search of 9 hours. Benny was one of those missing. Ted Roman was his Instructor at Douglas. He graduated from Blytheville Army Airfield, Arkansas. S/N: O-815552. He was assigned to the BAAF at Blytheville. He served over Europe in the 450th Bomb Gp 720th Bomb Sqdn. On April 28, 1944, he was flying as a 2nd Lieutenant and copilot on a B-24H (S/N: 42-52124) leaving Manduria Air Base, Italy with intended destination of Orbetello, Italy. The plane was shot down, and the crew bailed out. Seven members of the 10-person crew were captured. Three of the crew were described as missing and/or casualties. He was placed in Dulag Luft prison camp (Stalag #7). Source: MACR (Missing Air Crew Report): #4619. Of Dilliner or Fredericktown, PA. He became a navigator (S/N: O-712666). He was in the 457th Bomb Gp 749th Bomb Sqdn. On July 12, 1944 he was navigator on a B-17-G (S/N: 44-6111) on a mission to Munich, Germany. His plane was hit by flak on the bomb run. The propeller on No. 1 engine was blown off. He was interred in Switzerland (MACR #06925) and repatriated on 7-24-44. Graduated Blytheville Army Airfield, Arkansas. S/N: O-815554. He was at the Casper (WY) AAFd 331st Combat Crew Training Station. On Mar. 2, 1944 he was killed in a flying accident in a B-24E. of Big Stone Gap, VA.
S/N: O-814968. 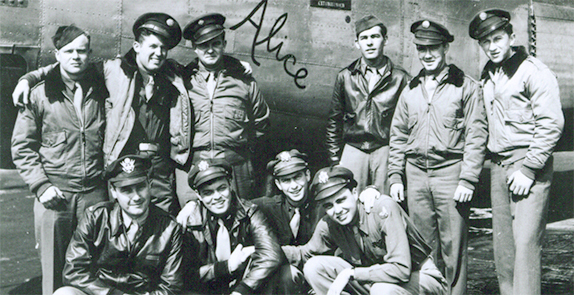 He flew B-24s in the 801st Bomb Group, 36th / 856th Bomb Sqdn, 8th A.F. He is pictured as part of an air crew at Station 179 – Harrington, England flying a B-24 called “Libra” S/N: 42-52508. 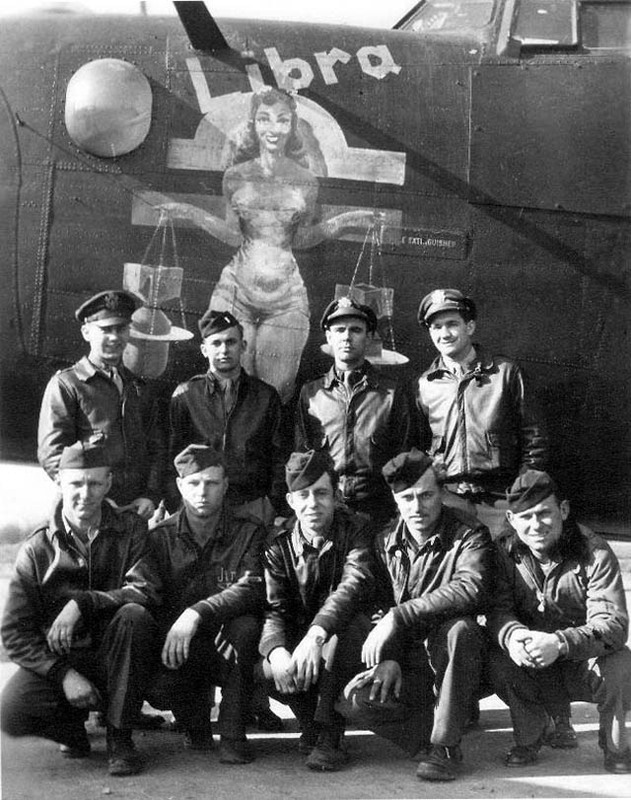 Click here to see him in the upper left of this photo with his B-24 “Libra”. See http://www.801492.org/. DuPraw was his Instructor at Douglas. He was in the 8th A.F., 492nd Bomb Group. He completed 30 missions as co-pilot on a B-24 as part of Robertson Scott’s crew. Their story is told here. of Buffalo, N.Y. in 1943. 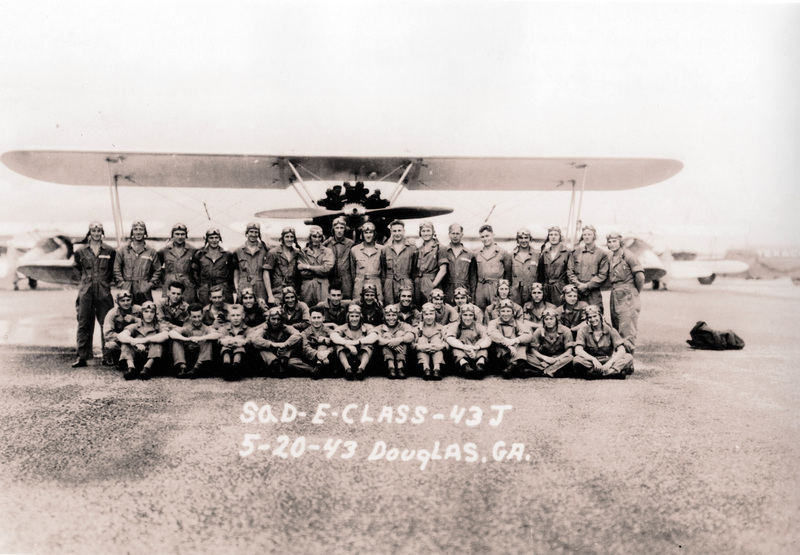 Click here for a picture of him with his B-24 crew (front row, second from right). S/N: O-614970. He was a pilot in the 306th Bomb Grp, 368th Bomb Sqdn. He reported to Thurleigh England on Dec 1, 1944. See Source. Died Sept 21, 1998 Age 76. S/N: O-814972. He was in the 9th AF Troop Carrier Group and then in Air Transport Command in Natal, Brazil. He had Basic at Cochran Field in Macon and Advanced at Moody, O-818220. Was assigned to the 2nd A.F. at Salt Lake City. In April 1944 he went to Europe in B-24’s in the 453rd Bomb Group. He had 35 missions over France & Germany and returned to the U.S. in late 1944. Was discharged in 1945. He received the DFC, 3 air medals, and other citations. He stayed in the Reserves until 1952 and was made Capt. in 1951. In 1974 he went back in where he used his computer knowledge and managed to get into an aviation unit, and he obtained the rank of Capt. again before retiring in 1986. 313th Troop Carrier Group, 48th Troop Carrier Squadron. Click here for more information/pictures. Ash DuPraw was his Instructor at. He flew observation planes in India and Burma. He was discharged at the end of the war. He died in May, 1981. S/N: O-814978. He was in the 491st Bomb Gp 853rd Bomb Sqdn. He was co-pilot in a B-24-J (S/N: 42-110169) that crash landed at Metfield, Suffolk, England after an aborted mission to Vicomte-sur-Rance, France on June 8, 1944.
of Richwood, W. VA. and wife living in Akron, OH at time of his death. S/N: O-816765. He was in the 405th Fighter Group 510th Fighter Sqdn. On Aug. 14, 1944 he was flying a P-47 (S/N: 42-76471) as element leader on a recon mission to Calais. While returning from the mission, their group encountered about 20 enemy aircraft. Russell went after a ME-109. Suddenly he pulled up from his dive down after the ME-109. Nobody saw his plane after that time (MACR #8511). He was K.I.A. S/N: O-814982. He was assigned to Barksdale Field. Ashley Dupraw was his instructor. He graduated S/N: O-814736. He flew C-47s in the Troop Carrier Command, 62nd Grp. 51st Sqdn. He stayed in the Reserve retiring as a Lt. Col.
S/N: T-061671. He was in the 334th Bomb Gp 470th Bomb Sqdn Replacement Training Unit in South Carolina. He was killed in a flying accident Feb. 24, 1944-02-24 in a B-25C. S/N: O-816164. He was with the 325th Fighter Group 317th Fighter Sqdn. On May 12, 1944, he was flying a P-47 (S/N: 42-75838) on a mission out of Italy. He became missing in action over water between Ancona and Pola (MACR #04887). He graduated O-814991. He was in the 092nd Bomb Gp 407th Bomb Sqdn. On July 11, 1944, he was pilot of a B-17G (S/N: 42-37976) with a crew of 9 on a mission to Munich Germany. His plane was shot up badly near the target and he landed in Sweden. Spent the rest of the war there. He and the crew returned to the U.S. (at Boston) on the U.S.S. Washington on Mar. 25, 1945. (MACR #7508). Of Peach Tree City, Ga. He was in the 440th Troop Carrier Group 95th Troop Carrier Sqdn. S/N: O-814999. He was in the 450th Bomb Gp 722nd Bomb Sqdn. On May 31, 1944 he was co-pilot of a B-24 (S/N: 42-278194) with a crew of 9 on a mission to Ploesti, Rumania. At the target, the ship was hit by flak and feathered number 1 engine. It dropped behind formation, further complications developed and the crew bailed out. He became a P.O.W. (MACR #05466). He was repatriated on 09-28-1944. Wife: Ann Smith, (widow) Now Mrs. Gardner. He graduated from Turner Field, S/N: O-815006. Later he flew B-24’s. He was in in England and served in the 8th A.F. 492nd Bomb Gp 856th Bomb Sqdn and 801 Bomb Gp 858 Bomb Sqdn in England flying 30 missions in B-24’s. Later he was in M.A.T.S. He graduated S/N O-815013. He was in the 492nd Bomb Gp 859th Bomb Sqdn and the 467th Bomb Gp 788th Bomb Sqdn. He died in Riviera Beach, FL about 1986. S/N: O-819289. Reubin Presley was his instructor. He had Basic at Bush and Advanced at Turner Field. He flew B-17’s and went to the 550th Sqdn. 385th Group, 8th Air Force in Europe. He was released in Oct. 1945. Of Salt Lake City, Utah. He had Basic at Augusta and Advanced at Albany, S/N: O-815015. He was a B-24 co-pilot stationed in Italy with the 15th A.F., 449th Bomber Group. He died on Nov. 5, 1990, age 71. S/N: O-816178. He was in the 325th Fighter Group 317th Fighter Sqdn. He had 3 victories flying a P-51 in the Mediterranean area. S/N: O-815018. He was killed while a co-pilot in a B-24 in the 486th Bomb Group (H), 833rd Bomb Sqdn. They were returning to England from a mission over Europe. They crashed attempting an emergency landing at Gosfield Airfield, England, and the crew perished. Weather and mechanical problems were thought responsible. from Sigel, PA. in 1943. Buried at Gettysburg Soldiers National Cemetery. He was in Squadron H at Douglas (see photo at top of this page). He graduated in twin engines from Albany GA, O-815019 October 1943. He went into B-24’s with the 487th Bomb Grp. and went to England as among the last bomb groups to go to England. He flew 14 missions in B-24’s as the lead crew. Then they switched to B-17’s and flew 16 missions. He was discharged June 1945. Vecere / Viceroy, Richard E.
Russell washed out of Primary with 55 hours flying time. He got into ciphering codes. Served his time in the Marianna. He was a Cryptographer on B-29’s. S/N: O-815026. He served in the 8th A.F., 486th Bomb Grp. 833rd Bomb Sqdn for 13 missions as Co-Pilot in B-24’s. Then 1st pilot for the rest of 35 missions in B-17’s. S/N: O-815656. He was in the 486th Bomb Gp 833rd Bomb Sqdn. He was in the unknown squadron pictured at the top of this page. Frank Presley was his Instructor. He graduated from Turner Field, S/N: O-815028. He went to England as a 1st Pilot on a B-24 in the 6th Air Force 491st Bomb Gp 854th Bomb Sqdn. Then shipped back to Wright Field, Ohio, testing bomber and cargo aircraft. Then he was an Instrument Instructor. Following this he was in the Berlin Air Lift. He was released as a Capt. in the Reserve. Then he was in Civil Service for the Air Force until retiring in 1972. Floyd is one of 2 of our former students that asked to come to our reunion, and started us looking for all of our former students. Click here for a picture of him with his plane. Wes Raymond was his instructor. He graduated S/N: O-815031. He had 35 missions in B-17’s with the 8th AF, 351st Bomb Gp 510th Bomb Sqdn in England between July 6, 1944 and Nov. 6, 1944. Afterward he went to Law School at the Univ. of Miss. He was recalled for Korea and was with the 516th Troop Carrier Sqdn. He had 20 years of active duty and retired in 1968. Click here for his bio (a PDF). Married his wife, Imogene, in Douglas in June 1943. He was in the 487th Bomb Gp 837th Bomb Sqdn. S/N: O-816193. He was in the 15th Air Force, 325th Fighter Group 317th Fighter Sqdn flying P-47D and P-51D-5-NA “Lone Wolfe”. He had 4 kills and won the Silver Star and DFC. Graduated S/N: O-815038 and went to B-26 School at Barksdale, LA, then to England. He was in the 394th Bomb Gp 584th Bomb Sqdn. Sent home early due to crash and wounds. of Elwood, IN and later Charlotte, NC. C. K. Barton was his Instructor at Douglas. Graduated from Twins at Albany, Ga. S/N: O-815021. Later he was in the 487th Bomb Group, 8th Air Force, 3rd Div. He flew 35 missions in B-24’s and B-17’s. After the War he became a mechanical engineer. C. K. Barton was his instructor at Douglas. He became a bombardier/navigator, S/N: O-716569. C. K. Barton was his instructor at Douglas. Ken Landis was his in Instructor at Douglas. Graduated S/N: O-815040. He went on to become a Bomber Pilot. He flew B-24’s with the 8th A.F. 491st Bomb Gp 855th Bomb Sqdn in England. He graduated from Turner Field, S/N: O-815041. Of West Palm Beach, Fla.
Ken Landis was his Instructor. He had Basic at Augusta and he graduated from Turner Field, S/N: O-815042. He later flew B-17’s in Italy, with the 463rd Bomb Group. He completed 50 missions and then returned to the U.S. After more flying he was discharged as a Captain. Then he went with National Airlines until he retired in Dec. 7, 1978. He graduated from Turner Field, S/N: O-815043. He was an instructor in B-24’s at Smyrna, TN. Of Chambersburg, PA. in 1943, then Columbus, OH in 1984. He died in about 1985. Age 67.